I’ve been using these face masks over the past week, and I’m here to tell you what I think of them, and how my skin is feeling after all this pampering. 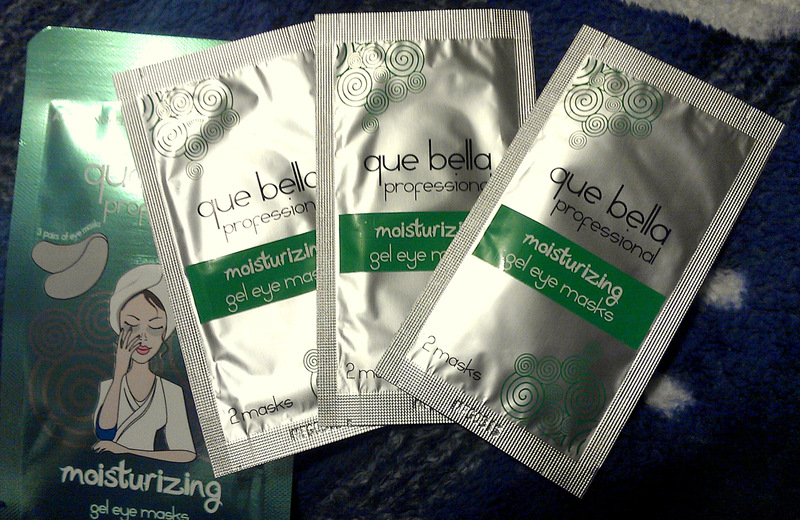 Que Bella offered to send me some to test and review, and they were very generous! First up is the Pearl Powder Exfoliating Mask, I’ve actually used this one twice since there was enough for two uses in the pouch. It’s a clear jelly-like mask with pearl powder as the exfoliator. The exfoliator beads are on the larger side, and a bit far and in between so I had to chase them around a bit to get a good scrub. Before rinsing off, I let the mask sit for 10 mins like the packaging recommends, and then washed it off. It’s a gentle scrub and left my skin feeling moisturized and soft, it has a very light scent as well. 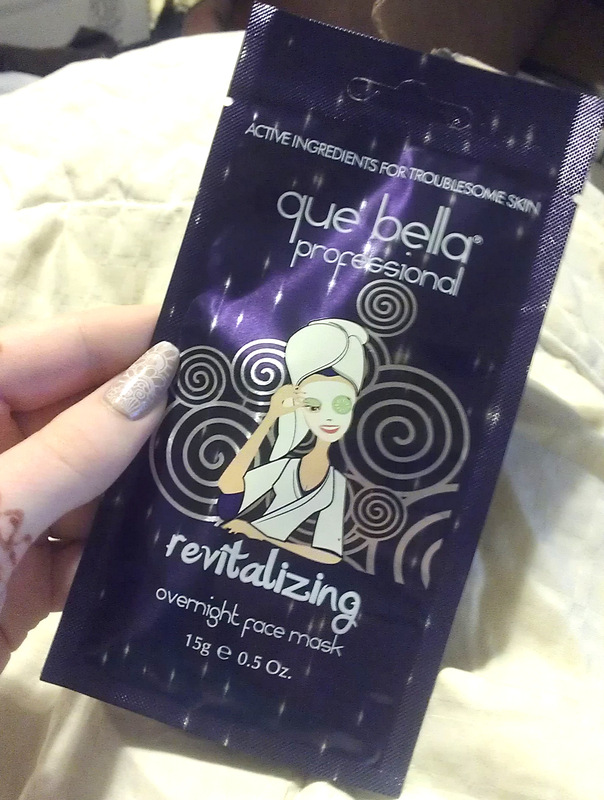 This is one of my favorites so far, the Revitalising Overnight Face Mask. This has a thinner gel consistency, and I was also able to get two uses out of the one packet. I put it on about an hour before bed and watched netflix while giving it a chance to dry, I rinsed it off in the morning. It didn’t quite give the wow results I was expecting since I kept it on so long, but it did definitely moisturize and give a boost to my skin and also help with my ongoing dry skin battle. I really liked the smell of this, it has a nice soapy clean scent. Last but not least I tried out the Moisturizing Gel Eye Masks, one pouch comes with three sets! The patches come in individual foil packets, and you peel the gel off from their plastic, then apply them sticky side down to your under eye area. I was surprised by how big they are, I love how much area they cover! 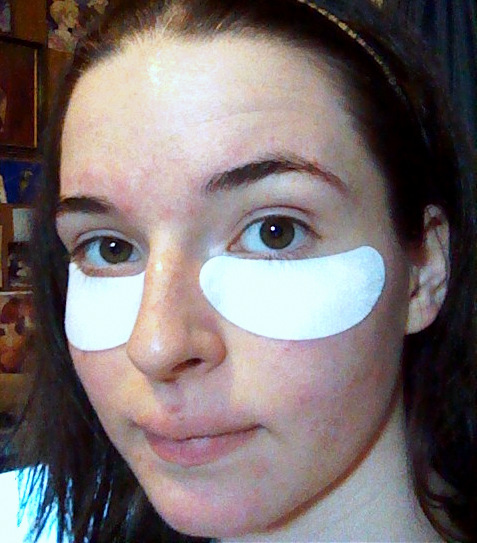 I kept them on about 20 mins, peeled them off and rubbed in the leftover mask serum. My eyes have been feeling irritated for some reason, so these were a lovely pick me up. Keep an eye out for my next Que Bella post, I still have more masks to test for you lovelies!